To Convict You of Drunk Driving in NJ, They Have to Prove You Were Driving! This may seem a bit simple, but it is surprising how often this element of the case, and possible defense to DWI, can be overlooked. To be convicted of drunk driving in New Jersey, you must operate a motor vehicle while "impaired" by intoxicating liquor, narcotic, hallucinogenic or habit-producing drug. Absent any admission by the driver, or the defendant being found as the sole occupant of a car found in the roadway, the state must prove this beyond a reasonable doubt. In most cases, this is rather straightforward. The police officer sees you driving the car, or finds you in the car behind the wheel, on the shoulder of the road, with no one else with you. That is not always the situation, however. When Is This an Issue? Suppose you and two of your friends leave a bar after an evening of drinking. A few minutes later, you swerve off the road and hit a utility pole. Dazed, the three of you exit the car unharmed and are found sitting on the curb when a police car comes by. If all of you stay silent, the officer may see the crashed car, know clearly that all of you are "impaired," but without being able to establish which one of you was behind the wheel, the state would not be able to sustain a case for drunk driving. One of the first questions I ask of someone that consults with me on a DUI is, "How do they know you were driving?" Although it is not an issue in most cases, it is one that should be pursued if there is any doubt as to the answer. If you have been charged with drunk driving, contact my office right away at 856-432-4113 or contact me through this site for a consultation to discuss your defenses. The case against you might not be as "open and shut" as you might think! If you have more questions on New Jersey's drunk driving law, then download my free book, How Much Trouble Am I In? A Guide to New Jersey Drunk Driving Law. 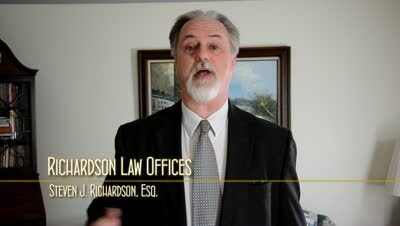 Top 3 Questions to Ask When Looking for a Lawyer for Your New Jersey Drunk Driving Case. Refusing the Breathalyzer: How to Screw Up Your NJ Drunk Driving Defense.